Car Shipping Brokers has been in the auto transport industry for over 25 years. The company was incorporated in 1989 and we work with private vehicle owners, dealerships, corporations, professional sports players, auto auctions, motorcycles clubs, seasonal travelers, students, military personnel and many others. We are an auto transport broker providing superior transport services to clients worldwide. We operate in all states of the U.S. including Alaska and Hawaii and also handle international shipping of motor vehicles, heavy machinery, boats and motorcycles and other vehicles. Whether you have a small compact car to ship or an entire fleet of military vehicles, we offer excellent shipping rates, quality transport and the best customer service in the industry. Car Shipping Brokers is affiliated with the leading auto transport carriers in the business and we strive to maintain close relationships with the companies we work with as well the clients we provide transport to. After all the years we have been in business we have been able to gain a prestigious reputation among customers as well as the outstanding auto transporters that we work with. Our reputation as a reliable auto transport broker depends on us working round the clock to stay up to date on the latest auto transport trends, technology and rates. We will never over-charge and we always stand by our rates. We are proud to say that we have a reputation amongst customers as the company that always provides safe and secure auto transport and will always deliver on time and at a great rate. 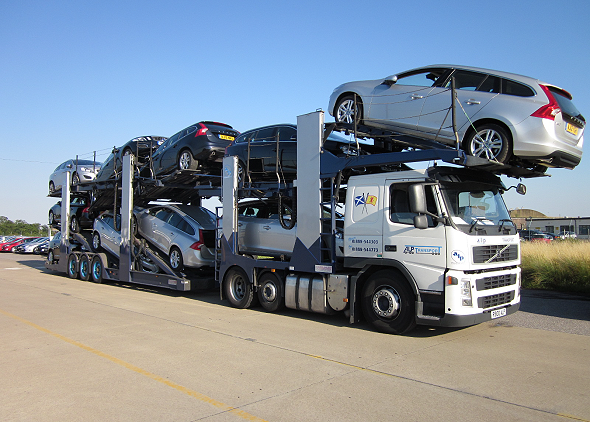 When you have your vehicle transported through Car Shipping Brokers, you can rest assured that it will safe and secure from pick-up through delivery.